Now is an excellent time to buy a home because values are continuing to rise, which makes owning a house an excellent investment. Although slowly rising as well, mortgage rates are still near their historic lows. 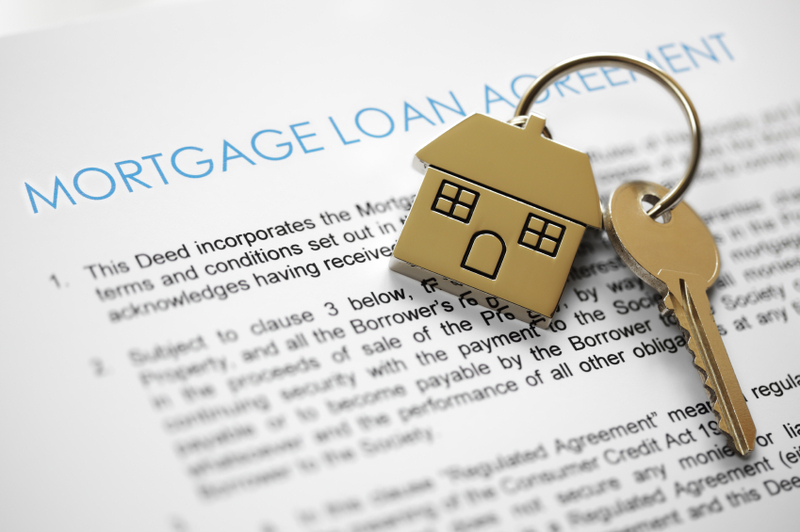 A small difference in mortgage percentage points can translate to thousands of dollars over the life of the loan. The following are a few tips for bringing that all-important indicator down. With so much money at stake on what is most likely the largest purchase of your life, you can’t afford to take the first mortgage that you find. Compare rates from several providers. However, don’t just look at the Annual Percentage Rate, or APR, which is the interest rate you’re charged with all fees factored in. Look at the points, which is what you pay to obtain the mortgage; the qualifications, because the lowest rates generally require high credit scores; and the loan type, such as whether it’s fixed or adjustable. You may have a relationship with the lender for as long as 30 years, so you want to find a business that treats its customers correctly. Call the provider, ask questions, and take note of how you’re treated. Are the employees warm and friendly, efficient and businesslike, or rude and unaccommodating? When they say that they’ll get back to you right away, do they keep their promise or do you never hear from them again? Do they take the time to answer your questions or do they try to get you off the phone as soon as possible? The way you’re treated before you get the loan is one indicator of how they’ll treat you once you’re locked into a mortgage. The more money that you invest in the ownership of a home, in the form of the down payment, then the less likely that you’ll walk away from it. If your down payment exceeds 20 percent, you may not have to owe Private Mortgage Insurance, or PMI, which is what lenders charge you every month to ensure that you don’t default on your obligations. This fee is usually folded into your monthly payment and is removed once you’re equity, or financial ownership, of the property exceeds 22 percent or so of the home’s value. Your credit score is arguably the biggest factor in calculating what mortgage terms you end up with, including the interest rate. Getting a good score over 740 typically increases your loan options and lowers your APR. Don’t bother paying to find out what this score is. You can get it for free and with no obligation at Credit Karma. You’ll need to sign up and confirm your identity before they give you the information in as little as two minutes. Your score is based on a number of factors including what accounts you have, how much you owe, how much you pay, and whether you pay on time. These factors are detailed in your credit report, which is what lenders look at to assess your creditworthiness for a mortgage. You’re entitled to obtain one free credit report per year from each of the three credit-reporting companies: Equifax, Experian, and TransUnion. The easiest way to obtain this document for free and without obligation is to go through AnnualCreditReport.com. After you receive your report, examine it to make sure the information is accurate. Report any mistakes to the credit reporting company and to the merchant that provided the information. By law, they must correct the error but it may take them a while to do so. To increase your credit score, pay off as much debt as you can so the balances on your accounts remain low. However, do not close any accounts. Avoid opening new accounts unless absolutely necessary. Pay your bills on time. Late or missed payments can have large negative consequence on your score.